"I got this recipe while I was head baker at London's Dorchester Hotel. It's packed with dried fruit and filled with a marzipan surprise." Bake in the preheated oven for 10 minutes, then reduce heat to 300 degrees F (150 degrees C), and bake for a further 30 to 40 minutes, or until golden brown. Allow loaf to cool on a wire rack. Dust the cooled loaf with confectioners' sugar, and sprinkle with the cinnamon. I ended up with a big wet gloppy mess. I threw out the dough without baking. I have tried several Stollen recipes and this one is the best. 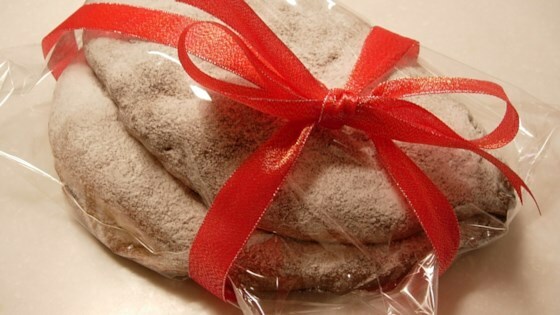 The traditional German bread was moist inside with a delightfully sweet marzipan surprise. Thanks!